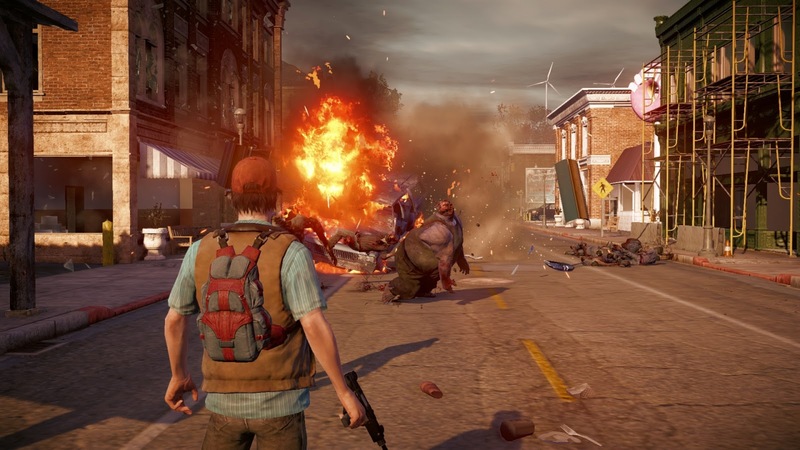 Officially released in 2013 on the Xbox 360 as a downloadable title, State of Decay makes its full-disk debut on the Xbox One and PC with the Year-One Survival Edition boasting a full 1080p experience, two DLC expansions (Breakdown and Lifeline) new weapons, and new vehicles. 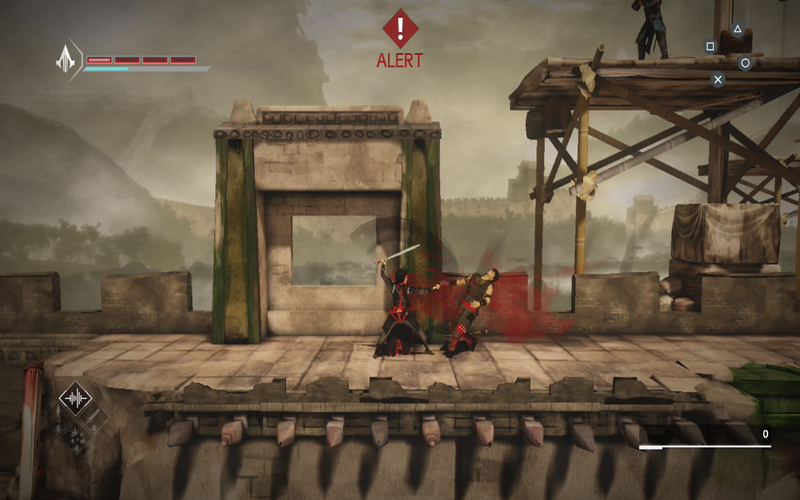 The Xbox One version claims to be the fully fleshed out experience the original release was supposed to be. At only $30, Developer Undead Labs makes it hard to argue that this isn’t a great deal. Waking up near a river as a man named Marcus, you’re thrown into the world of the game and quickly taught how to fend for yourself. Combat is managed by both your health, your stamina, and also the dependability of your weapons. Weapons break in this game after too much use –a feature I’ve come to like in any zombie game. You can use regular attacks just swinging your crowbar, but once your character levels up in combat after a few days you can pick a weapon you are better at using (i.e. blunt, sharp, heavy, etc.). Not only that, but with Marcus’s “powerhouse” ability, you can body slam zombies and be creative in how you get rid of them. Before long, you run into your second playable character, Maya. I wasn’t exactly sure what her ability was, but I’m sure it wouldn’t take long to dig around and find out. 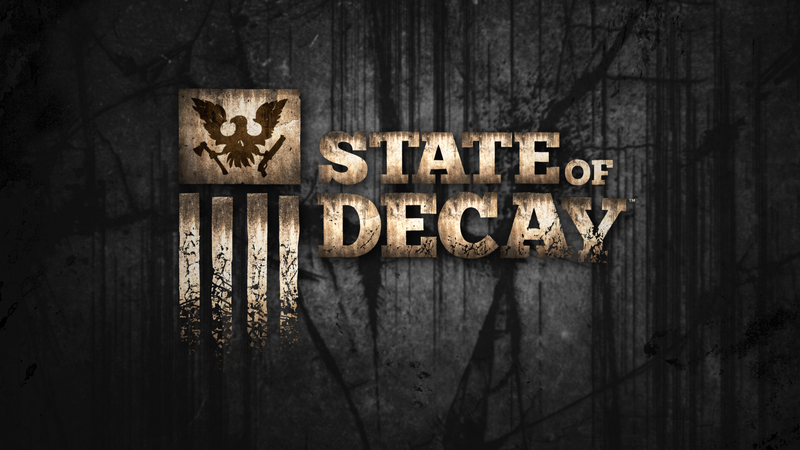 State of Decayis one of the few games that features permanent death, or permadeath. I could be playing for weeks with Marcus building up his stats like cardio and fighting, but if I get overwhelmed and Marcus dies, there is no getting him back. I have to start over with a new survivor. 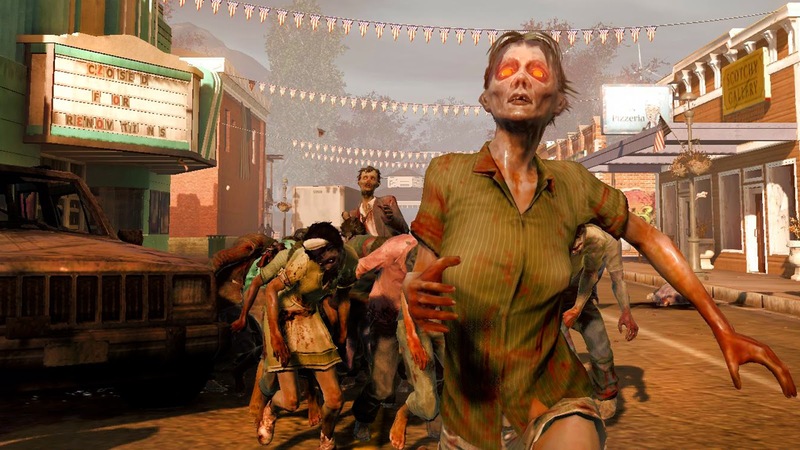 The game alleviates this by making your survivor get fatigued after being out and about for a certain amount of time, despite having a high cardio level. When you’re fatigued you lose a percentage of your max stamina. The only way to get it back is to switch to another playable character and let the fatigued character rest. That character can then build their stamina, fighting, specific ability, and so on. It works out well because after switching characters, you end up with a small team of people you are most comfortable surviving with. Even though Marcus was the best at fighting zombies, I got pretty accurate shooting guns with Maya. I got into a comfortable place where I would primarily use Marcus to scavenge for supplies and, when I had to switch out to Maya, I would take care of the infestations and hordes that would get too close to my camp site. When you go out to scavenge you have to look out for five main things; food, medical supplies, ammunition, fuel, and most importantly, resource materials. Resource materials are the most important to find because when you go out to scavenge, you can set up outposts as safe zones in case you get too fatigued to make it home. If you set them up in specific areas, these outposts can supply you with the things you need. Set up an outpost at a grocery store, and every in-game day you’ll be granted food for the cost of one resource material. These resource materials are also used to build things you need in your base like a better medical tent, sleeping areas for survivors you bring into your camp, and building new things like a workshop for weapons. When you bring home supplies, survivors, or go out and find the occasional person who got lost, you are granted influence in your home base. That influence is also used to establish outposts, build things you need at home, and even determine which weapons you can take from the storage locker. If you have a lot of influence from supply runs they won’t mind when you take an ax or two with you to fend for yourself. Without influence you better get used to swinging a crowbar similar to the one you started out with. One of the biggest issues I had with this game was the constant frame rate dropping. I can only count maybe two deaths because of it, but it was definitely noticeable and a problem. When you go to clear an infestation, zombies will come running out at you from almost every direction. Every time I was dealing with an infestation the frame rate took a huge dip. It was also a problem when I was driving. Driving through hordes of zombies made me feel like I was making a dent in the enemies’ numbers (even though I’m sure the game can never run out of enemies), but at one point I kept driving into a pole trying to turn around in the road. It was never worse than when I needed it to be consistent most. In closed areas like houses, if you are rushed by zombies coming in from every door and window and find yourself against the odds, it’d probably be best to run. That’s exactly what I did but the frame rate was so bad I couldn’t get through a window and unfortunately lost my best shooter, Maya. May she rest in peace. For half the price of a standard disk game, you get quite a bit. There is always something that needs to be done. However, with the consistent frame rate issues, constant resource management, and the endless times you’re going to have to go out and find an absent minded survivor that has wandered from your home base for what seemed like literally no reason, it can get tedious. Don’t get me wrong, there is plenty fun to have here. The variety of zombies, how you encounter them (like opening a warehouse full of them, or running down three hordes in a row), and even the thought that no matter how well you’ve built your characters stats they can always die, are all some of the best parts of this game and actually make you feel like you’re surviving. 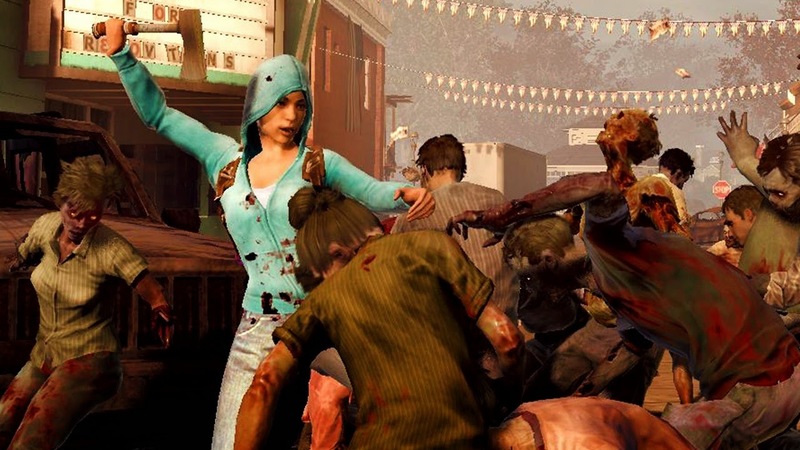 If you can get past the few big flaws this game does have, you can have some really good times in State of Decay. Assassin’s Creed has never strayed too far from its standard gameplay of hunting, finding waypoints, stalking, killing, stealth, etc. so when they announced a 2.5D side scroller I was more than intrigued. How do upgrades work? What does combat feel like? Are they going to acknowledge the present? Are there waypoints at all? To start off, Chronicles China takes place in China (big surprise) in 1526. It has been two years since your sect of Assassins, the Chinese Brotherhood, was nearly wiped out by a Templar sect known as the Tigers. Two years later you return as Assassin Shao Jun, with orders from the new leader of Assassins, to take back your home and free China from Templar control. There are 12 levels you need to complete, each one finishing with a beautiful watercolor painting, complete with voice acting; an aesthetic that goes very well with the hide-and-shadow motif the game tries to accomplish. Within these levels are individual encounters such as sneaking past or killing guards, freeing prisoners, or escaping within a time limit. You’re graded on these individual encounters for bronze, silver or gold grades. Many times, I would be doing great throughout a level and then accidentally set off a wave of guards searching for me, and my great streak would be soiled by a bronze grade because of my carelessness. These segments would have been a little more fun if you were allowed to restart that specific segment if you earned a bronze grade and wanted a gold grade. At the end of each level you are also graded on your style of progression. It will let you know if you were a sneaky player, taking special care to not be seen at all (Shadow), a player who went to great lengths to make sure everyone was dead (Assassin), or a brutal player, meaning you met every enemy you could with fierce combat and brutal kills (Brawler). Your arsenal consists of standard ‘ninja’ tools with specific uses. For example, there are darts to kill guards, there are darts to make noise, and you can even whistle to get a guards attention. There is a lot of sneaking past guards. The first few levels felt very linear but the more you progress not only did you get more weapons and ‘distraction’ items, but the levels became bigger. The levels become more vertical upwards and downwards, but there was also foreground, background, and an even further background which I don’t know what to call. 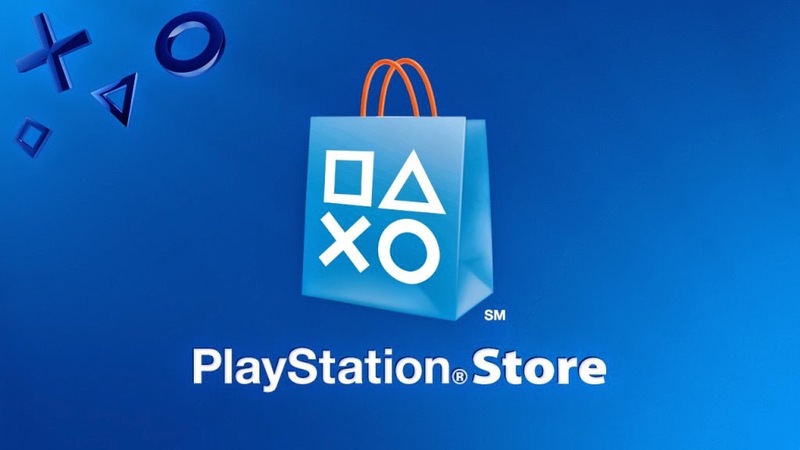 What started out as a game that immediately felt like it belonged on the PS Vita, quickly became a game I was glad I was playing on console and had an entire TV screen to see where I was going. That’s not to say that you had a whole lot of freedom of how to progress through levels, there were still certain ‘tracks’ you had to follow at times, but with the beautifully rendered background, I didn’t mind so much. The ‘tracks’ you had to follow at times could get very frustrating. I was stuck on a particular part for the better half of an hour because I was trying to collect an item, and the platform I was supposed to jump onto to get it was well hidden in the foreground. Eventually I found what I was trying to collect without notifying anyone of my presence, but that frustration sat with me for days. There are many chances to replenish your supplies but if you run out and need them to get a gold rating to pass a segment, well you’d better just restart the level if you’re a completionist. Otherwise, combat isn’t too hard to grasp. Depending on how stealthy you want to be, each level takes about 40 minutes to complete. Being the only the second playable female Assassin in the series behind Aveline de Grandpre’ from the PSP’s Assassins’s Creed Liberation, I felt Shao Jun was also short changed. The story follows her as she reenters her old stomping grounds taken over by the Templar order The Lions. The motivations for her actions are clear cut. This may be because this is a smaller game than the standard Assassin’s Creed’s, but, to me, it felt like too much of a cop out. As much as I’d like to believe this was a deliberate move to give her a more tangible motivation to kill as she saw fit, it seems to take a back seat to the Shadow, Assassin, and Brawler scores; the ‘real’ motivations for completing levels on your terms. It’s a real shame. Chinese culture revolves so much around honor and family and it also takes a backseat to the combat. The main character, and her cultural motivations for who and why she’s assassinating the important figures felt lost to me and the only thing that really kept me playing was the gameplay. The gameplay isn’t bad, it’s actually very fun and consistent with the weapons you are given. Getting better perks and new weapons at the end of each chapter is a definite bonus and genuinely makes you feel like you can do more as you progress, but I can’t help feel like these could have been implemented better in a level-up-and-choose-your-own-upgrades type of game like most RPG’s. 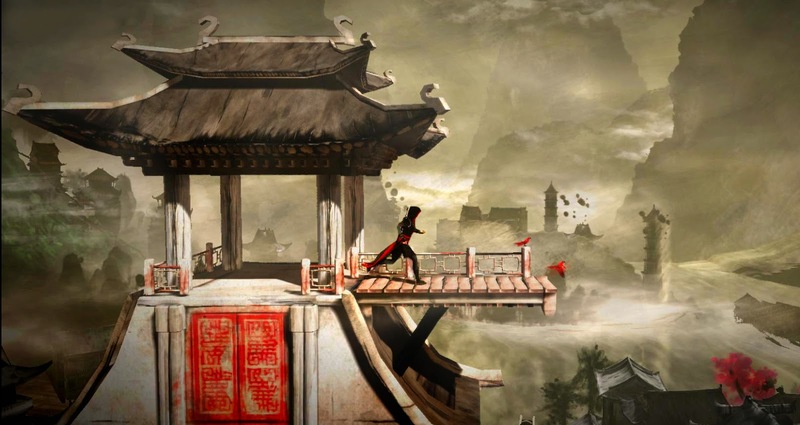 Assassin’s Creed Chronicles Chine is a good game. It’s not particularly challenging, but for a lax afternoon it’d be fun to pick up for a few hours. 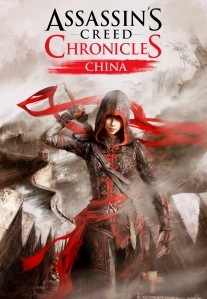 The main character I wish would have gotten her own full-fledged Assassin’s game, if for nothing else than to explore a 3D China and play as a female assassin in full detail, but this little romp through the series is good. There are some definite other 2D stealth games available now for cheaper, but if you’re a fan of the series it’s worth checking out.